Day 27 of 30 Days Wild is about our visit to RSPB Osprey near Boat of Garten in the Cairngorm National Park. We ended up visiting the centre on our way home to Aberdeen from the west coast of Scotland. I don’t really know a huge amount about Ospreys, or should I say I didn’t until I visited the centre. The first thing that struck me when we arrived at the visitor centre was just how busy it was and then the number of people working there. As we arrived a girl was talking about the Ospreys that keep coming back to nest at the site, showing footage of the new chicks born this year and talking through their development. Ospreys like many birds of prey were persecuted and at one point extinct in the UK. 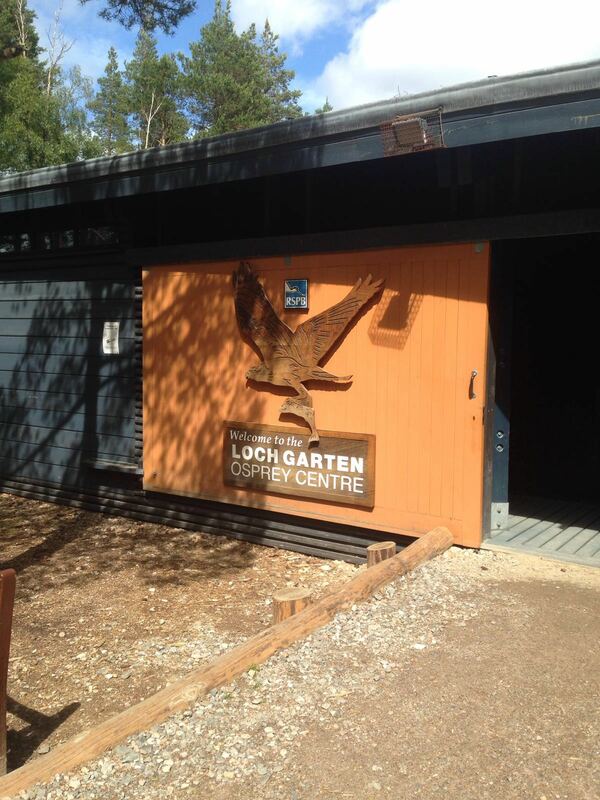 Then back in 1954 the first pair came to Loch Garten to breed and have continued to do so up until this day. Ospreys are registered as a Schedule 1 bird which means they are protected at all times of the year. It is an offence to disturb at or near an active nest whether intentionally or recklessly. Only licensced individuals are allowed to set up video tracking and ring the birds. This particular centre was funded by money donated from RSPB memberships. The centre was fantastic. 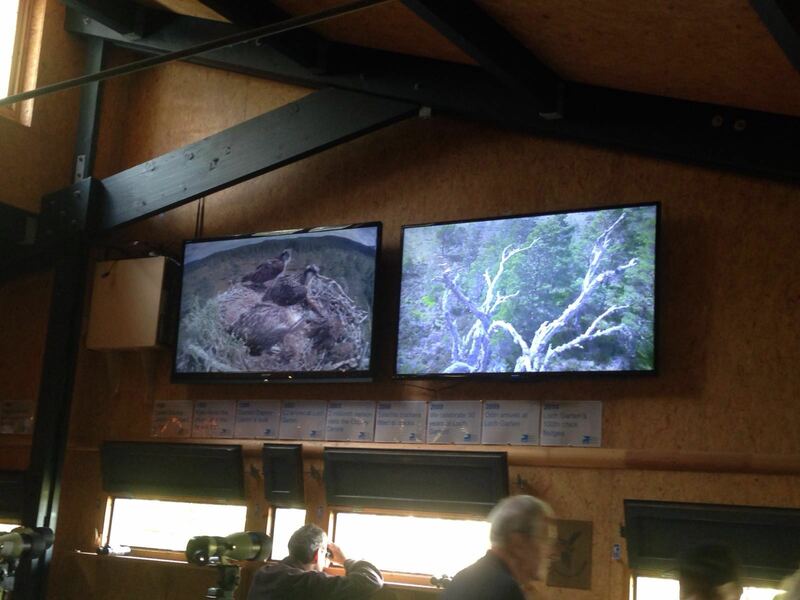 Not only could you see out the centre and watch the Ospreys in their nest but there was 2 large screens streaming live cameras to the nest and nearby post. In addition to this visitors could hear live noises over the speakers and use the variety of binoculars and scopes in the centre. There was a real mix of people there from bird enthusiasts to families, wildlife photographers to tourists. Plus with so many people around there was always the opportunity to ask questions. I’d definitely recommend a trip to RSPB Osprey if you have an interest in birds. It was so interesting to watch the nest through the cameras and learn about the chicks development. I don’t think the chicks now are too far away from leaving the nest where they will fly to Africa alone. Dad typically stays last to ensure everyone has gone then heads off himself. The chicks won’t return again until they are at least 2 years old. Fascinating!